NASHVILLE, Tenn. (May 11, 2016) Country music superstar Brad Paisley has announced his 2016 tour, Life Amplified World Tour, which kicks off May 19 in Sacramento, CA. The tour will travel across the country during the summer and fall with more dates to be added. Special guests will be power vocalist Tyler Farr and CMA Award winning-duo Maddie & Tae. 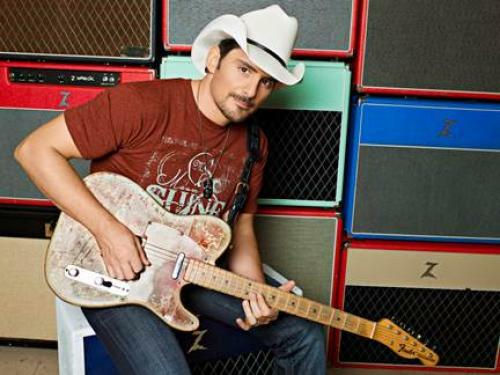 Brad Paisley is the consummate singer, songwriter, guitarist and entertainer whose talents have earned him numerous awards, including three GRAMMYs, two American Music Awards, 14 Academy of Country Music Awards and 14 Country Music Association Awards (including Entertainer of the Year), among many others. He has been a proud member of the Grand Ole Opry since 2001. Paisley has written 20 of his 23 #1 singles with the first being his 1999 hit “He Didn’t Have To Be” and his most recent, “Perfect Storm,” from his chart-topping 2014 album Moonshine in the Trunk. Paisley has partnered with Boot Barn® and developed an exclusive line of jeans, hats, T-shirts, jewelry, belts and woven shirts called Moonshine Spirit by Brad Paisley. Connect with Brad at www.BradPaisley.com,www.Facebook.com/BradPaisley, on Twitter @BradPaisley, on Instagram @Brad Paisley, and YouTube at YouTube.com/BradPaisley. 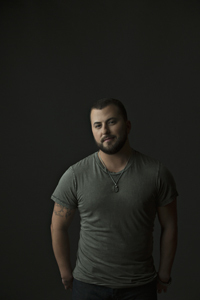 Columbia Nashville’s Tyler Farr released his highly anticipated sophomore album, Suffer In Peace, in April 2015 making its debut in the top 5 on the BILLBOARD Top 200 Albums and BILLBOARD Country Albums Charts. Previously with the release of his debut album Redneck Crazy, which released in 2013, Farr landed at No. 2 on the Billboard Country Albums Chart and #5 on the Billboard Top 200 making Farr the only solo male country artist in the last 10 years to have his first two studio albums debut in the top-5 on the Billboard 200 Chart. Tyler’s first single off the newly released Suffer In Peace album, “A Guy Walks into a Bar,” proved to be Farr's third No. 1 hit and is now RIAACertified GOLD. Farr’s #1, platinum-selling title-track “Redneck Crazy” projected Farr forward to celebrate back-to-back #1 singles, including his first #1 as a songwriter, with his Gold-certified hit “Whiskey in my Water.” Farr’s most recent single at radio, “Better In Boots,” was described by the New York Times as a “muscular love song.” The Missouri native’s dry wit and energetic live show has earned him industry recognition as a 2014 CRS New Faces of Country Radio and 2014 Music Row “Breakthrough Artist of the Year” nominee, as well as rave reviews for his coveted opening slots touring with Jason Aldean, Florida Georgia Line, Brantley Gilbert, Lee Brice and Brad Paisley. About Maddie & Tae: Maddie & Tae boldly introduced their debut single “Girl In A Country Song” shortly after signing with Dot Records. Featured on their album START HERE, of which they penned each of the eleven tracks, the PLATINUM-certified breakout hit soared atop the Country radio charts and made them only the third female duo to peak their debut single at #1 in the history of the Billboard Country singles chart. The gender-flipping video garnered over 33.5 million views and scored the duo their first-ever award: CMA Video of the Year. The pair, from Texas and Oklahoma, respectively also swept the 2016 Radio Disney Music Awards, winning both Favorite Country Artist and Favorite Country Song for GOLD-certified “Fly.” Receiving critical acclaim from NPR, Entertainment Weekly, The Washington Post and Glamour, among others, Maddie & Tae have appeared on the Late Show with David Letterman, TODAY, The TonightShow Starring Jimmy Fallon and most recently on Live! with Kelly and Michael where they performed “Shut Up And Fish.” Their fourth single, “Sierra,” is a cleverly written tune about dealing with bullies and will impact Country radio on May 16. Maddie & Tae wrapped their first headlining START HERE TOUR last fall, recently wrapped Lee Brice’s LIFE OFF MY YEARS TOUR and will join Brad Paisley’s LIFE AMPLIFIED WORLD TOUR beginning on May 19. The vibrant talents have also partnered with Bloomingdales on a Special Capsule Collection for the esteemed retailer's Aqua line. For the latest updates, visit MaddieandTae.com. Fans can purchase tickets for select cities at LiveNation.com.